India Postage Revenue One Anna Stamp 1938 This old letter card was send to Sunel, arrived 29. May, 1938. 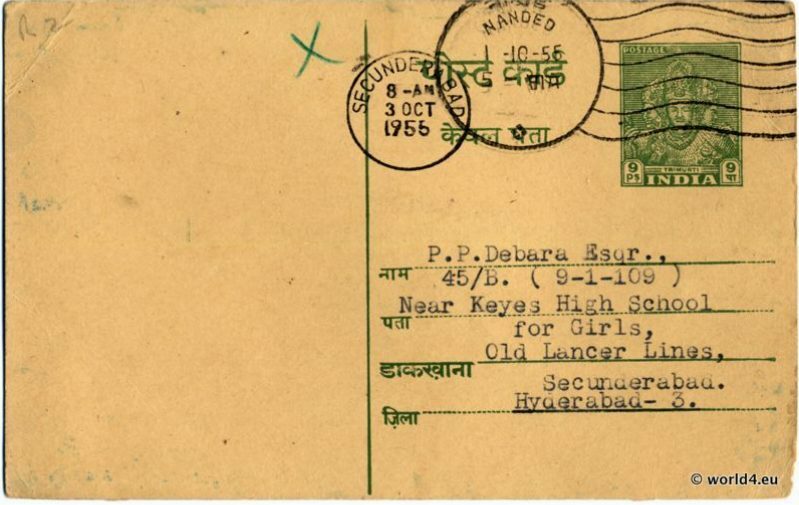 Old Letter Cover India Postage Revenue Old letter from India to Germany by air mail. India stamps with different Anna and postmark. India Postage & Revenue. India Kerala. Antique postcard 1910.